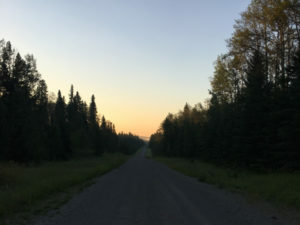 “I attended a beginner class in Calgary, Alberta. I think the year was 2003. What I remember from that class was doing C&E® and reaching the fourth seal. I could not stop crying. I remember doing the Neighborhood Walk® in the parking lot of the hotel, then later doing a Remote View of a box that had not been put together yet and I “saw” a ring. When they pulled a ring out of the box, I was both shocked and excited. I picked up the book, “The Wonderful Life of Henry Singer” as well as two decks of happy face cards. Shortly after that experience I became very scared of owning my gifts because I saw the worst of what power and control can do to one’s soul if used inappropriately. I vowed I would never hurt people with my gifts/power. “Over the next 13 years my path took a different course as I allowed my altered ego to run the show. Over those years I removed a lot of ‘demons’, changed a lot of my beliefs, and got to the point in December 2016 where I made a commitment to return to RSE. In early January I took the course on Create Your Year. “Before going to work one morning, I was compelled to listen to JZ’s talk on forgiveness. What really captured my soul was forgiveness of myself. I probably cried for 15 minutes. The impact of my forgiveness of myself was intense and profound. As I walked out my front door to go to work I heard a voice say — take a picture of the full moon. In the foreground of the picture is the roof of my vehicle (see picture above). 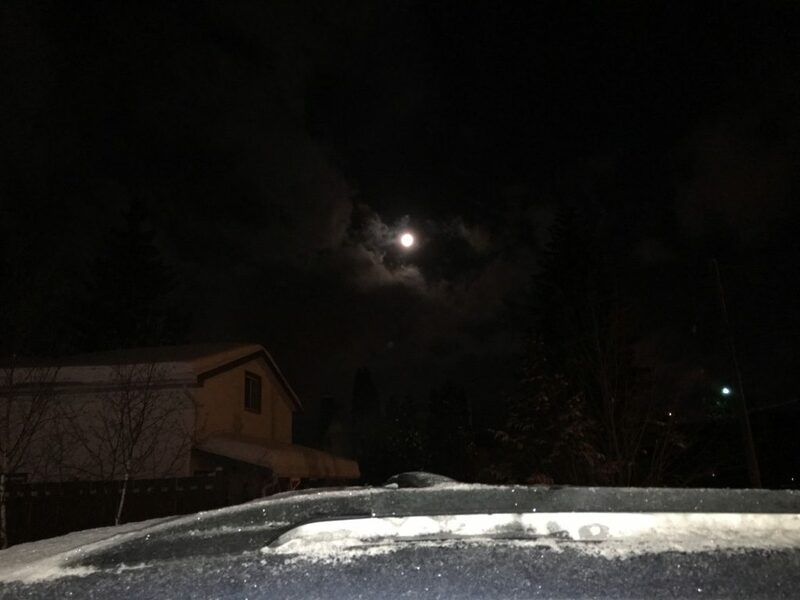 I then heard — take a second picture of the full moon. 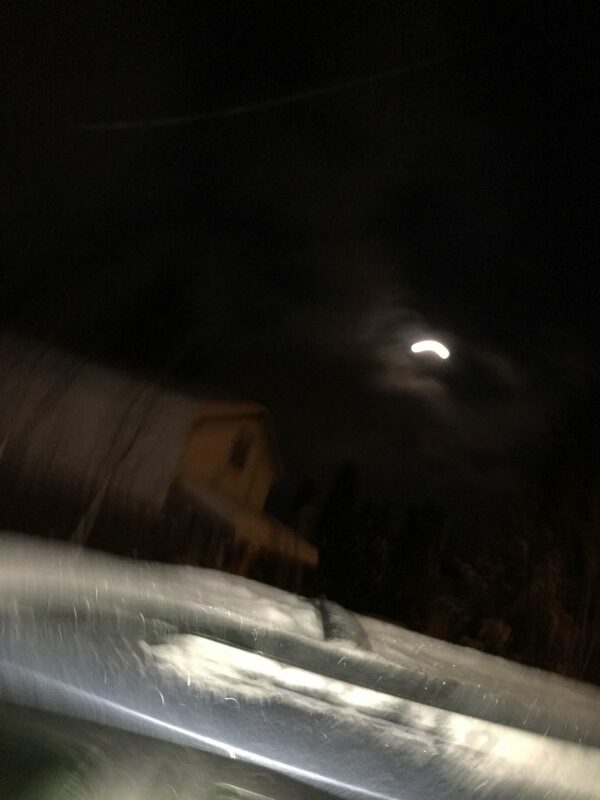 “The first picture is titled “Moonlight”. The second one is titled “Moonlight and Energy”. The “moonlight and energy” is like the picture of Ramtha where it shows how he changes the energy around him with his presence. I was so excited when I saw the picture of the energy field in the “moonlight and energy” photo. I had hope! “I also took the Class 101/102 combined courses and within two weeks of taking that course I made a very profound decision. One day at work I found the proof that affirmed my suspicions that all contractors who worked on our project were not being treated equally and in some cases were treated fraudulently, unfairly. I told my boss and he saw no issue, so I made the decision to not only quit my job, but to retire. I wanted to spend my retirement taking RSE courses with the goal of ascension. “In society’s eyes, I do not have the money to retire, but my belief has always been the money will always be there for me. 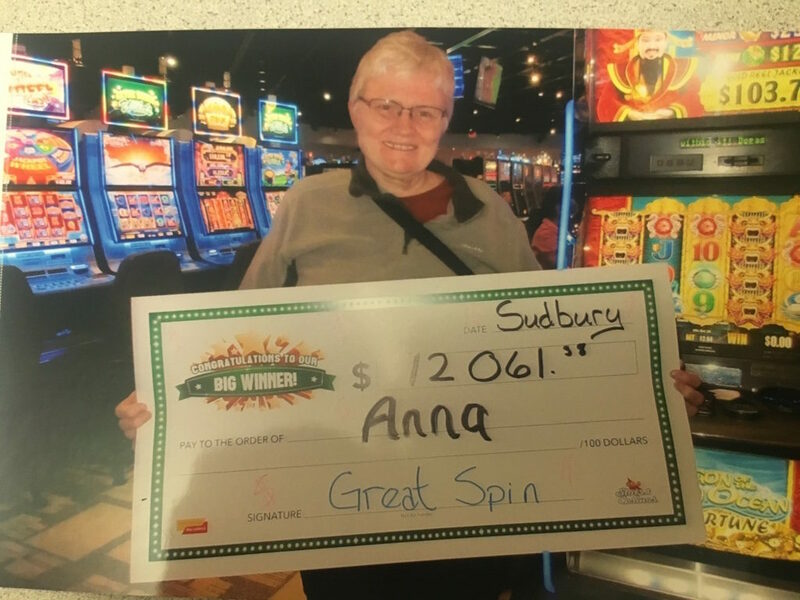 In May, just prior to my moving from Sudbury, Ontario, where I just quit my job, to Sundre, Alberta, I won a $12,061.38 jackpot (all tax free) at a casino. “I’ve manifested the most perfect place to retire to — in the country, surrounded by trees, places to hike, and trails to take long walks. My landlord runs a greenhouse and I have been accepted as family. “Shortly after arriving in my new home, I was compelled to take two courses online. One was The Physics of Free Will, and the second one was The Mystery of Birth and Death Workshop. I started to take the Free Will Workshop but stopped as I allowed my altered ego’s ongoing addiction to alcohol to take charge. I did C&E® half-heartedly, and was one of those who fought myself while doing it. I would Create My Day when I remembered. C&E®, as any other tools I had, I would “take short-cuts”. On June 6, while driving home, I started to cry. I knew I had hit rock bottom and knew I needed help. 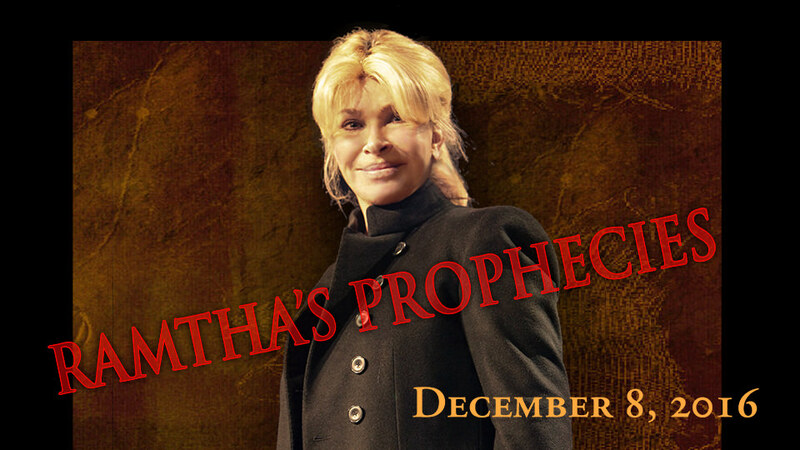 I turned to Ramtha and asked for His help. In an instant a gentle, soft knowingness of compassion, kindness, and strength came all over me. I got the help I asked for. From that point forward the rest was up to me. The next day I was tempted to go back to my addictive ways. 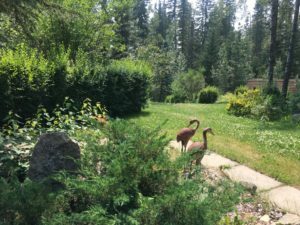 The thought of letting Ramtha down easily pulled me back to my new Neighborhood. On June 9, The Mystery of Birth and Death Workshop started. I was determined to fully participate and I did. Right after, on Monday I took the Free Will Day 1, Session 1, and Tuesday, Day 1, Sessions 2, and 3. I thoroughly enjoyed the presentation even though I glazed over at some of the technical details. Now I go into my C&E® with so much excitement knowing I am going on a new adventure into the Void. I create my day and my night. I go on long walks to not only rejuvenate my physical body, but also to rejuvenate my soul. I am going to retake the Class 101/102 combined and this time truly participate. I’m going to spend the next six-months or year catching up by taking the Blue Body® Workshop, Mind as Matter, Mirror Day & Workshop, etc. I’m going to incorporate Candle Focus and reading the cards into my daily routine. 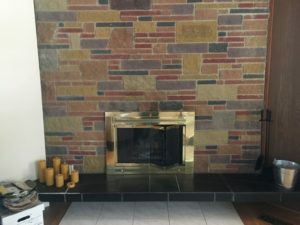 My criteria for my new home was a wood burning fireplace. This will be changed to a more efficient wood burning unit that will also be a stove that I can use should the power go out. 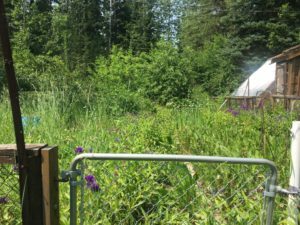 “With this home I have a garden, that has been allowed to grow wild for the past five years. Next year it will be my garden. 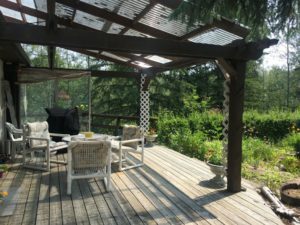 “The lawn, patio, pond (needs some work), and deck are beautiful. “There is also a woodworking shop that I can use. What is really interesting is I apprenticed as a cabinet maker. 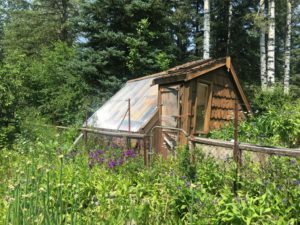 “I also live 600′ from a greenhouse/nursery. 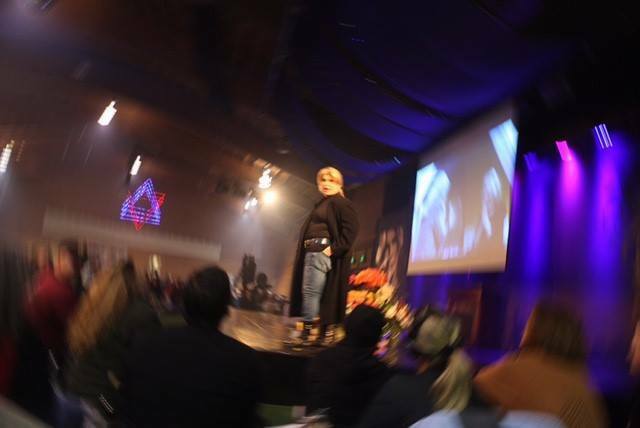 Learn the powerful discipline of Focus, Remote-Viewing, C&E®, Create Your Day®, The Neighborhood Walk®, Blue Body®, Candle of Focus®, and many more created by Ramtha and JZ Knight, mentioned in Anna’s story, exclusively taught at Ramtha’s School of Enlightenment. 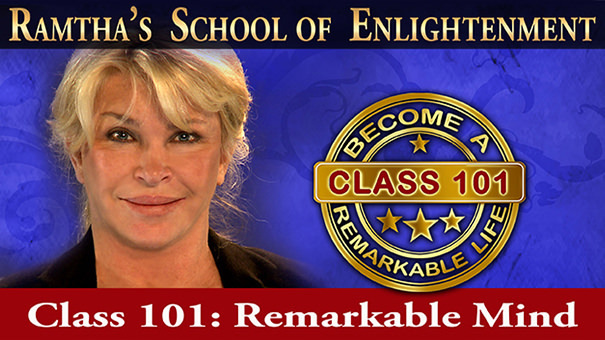 The student’s journey in the Great Work begins with the Class 101: Remarkable Mind. This event is available live or online and around the world, and is open to the public.